Between June 9 and June 11, Aspen Institute Romania organizes in Sibiu the first edition of Aspen Ideas, in partnership with the Sibiu International Theater Festival. The event is proudly supported by UniCredit Bank. Aspen Ideas is part of a series of events organized by Aspen Institute Romania for celebrating 10 years of activity. Aspen Ideas is an event dedicated to exploring innovative ideas and transformative processes that shape contemporary society. The focus is on the improvement of the quality of life, as well as environmental, community and civic sustainability of emergent societal and business models. The concept of an Ideas Festival is among the most provocative approaches developed by the Aspen Institute US, together with The Atlantic magazine. Via effervescent discussions, the event steps beyond the logic of a conference and becomes, for three days an immersion experience for ideas and solutions. In Sibiu, as in Aspen Colorado, the Ideas Festival’s off stage experience is an integral part of the concept. The organizers challenge the participants to explore areas that are not familiar to them, but which influence their existence, their style of work and the way in which their life is about to change. For Sibiu, Aspen Romania proposes a fusion between the methodology tested by the Colorado festival in the past 10 years by Aspen Ideas Festival and another intellectual product of the Aspen Institute US, the Aspen Action Forum. This component is dedicated to ideas applied by young leaders from the Aspen international network in business projects, community projects or social projects that have transformative impact. 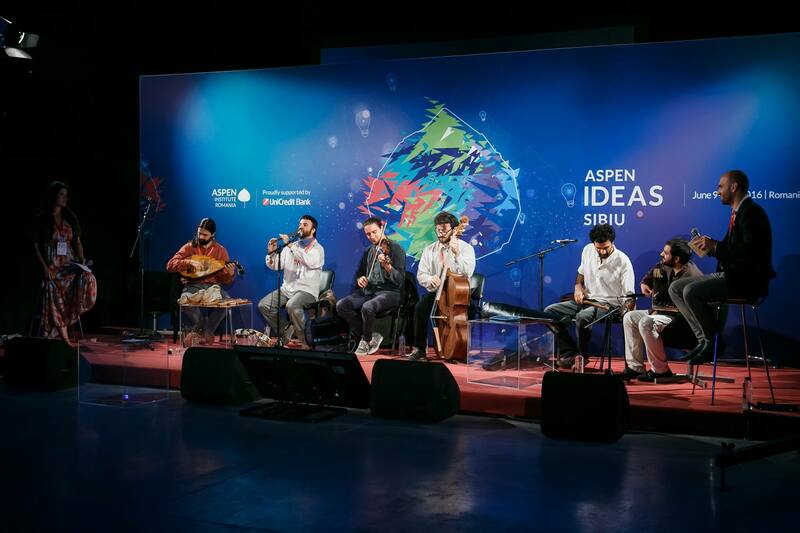 The Sibiu Aspen Ideas Festival serves as an intersection between four dimensions of debate. They were chosen from those that have both high innovative potential and hold the promise of generating durable changes in Romania and the region, in regards to living standards, quality of governance and the way in which prosperity is generated. The festival brings to the public leaders of ideas, international experts, members of the Aspen Network involved in arts and culture, creative industries, medicine, nutrition and lifestyle, activists from the civil society, representatives from the academic environment and explorers of new transformative technologies both for business and for democratic solutions in a interconnected world. We will have an information desk in the main lobby of the Continental Forum Sibiu Hotel. The dress code for the entire event is smart casual.